Streets Heaver are in contention for the Midlands Family Business of the Year Award 2019. 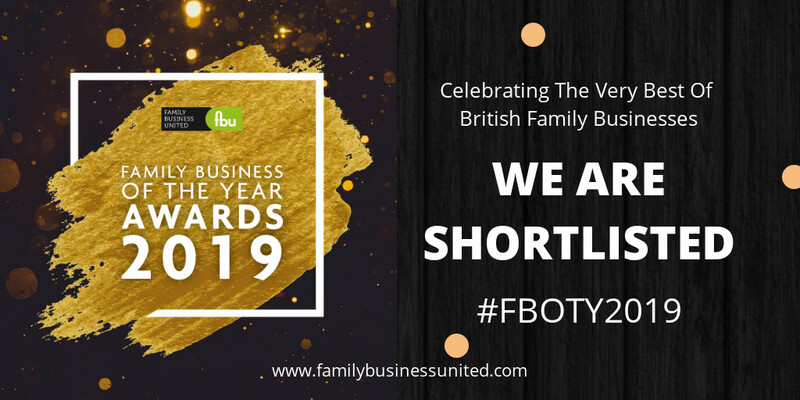 The Family Business of the Year Awards are organised by Family Business United, the award-winning magazine and resource centre that champions and celebrates the family business sector. Now in their seventh year, these awards recognise the diversity, strength and depth of family firms across the UK. Seeking to highlight the contribution that family firms make to the UK economy. Open to family firms of all generations, sizes and sectors. These awards really do recognise some outstanding family firms and therefore help to put family businesses on the map. The finalists for the sector awards will be announced in due course. Offering further opportunities for the shortlisted firms to progress and take home a title nationally. The awards process concludes at a Gala Reception and awards ceremony that takes place in London at the prestigious May Fair Hotel in London on June 6. The regional and sector winners will be crowned together with the overall Supreme Champion Family Business of the Year for 2019.